Even though expanding my Let's Play channel has been on hold for quite some time, I still believe this is one of the best projects I ever did to keep myself busy during a time of hardship not being able to find a job for months. This was a great way to keep myself busy in a creative way, while also learning new things like video and audio editing. 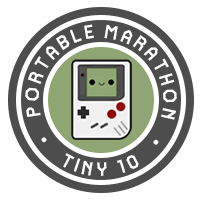 In the future I might get back to making more of these, and Game Boy related ones shall always be featured on this website.